Everyone out there loves a muscle car. From the roar of that huge engine to the flames on the hood, it is hard to resist looking when you hear one rumbling down the road. But, most people don’t really know the history behind the “muscle car”, like who created the first one and when were they introduced on the market? 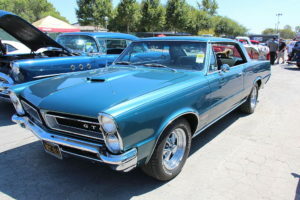 Almost every historian and car buff credits Pontiac with the first “muscle car” on the market, which was a variation on the Tempest, the 1964 GTO. This first muscle car offered a huge V-8 engine that boasted 389 cubic inches and a floor-shift manual transmission instead of on the column. With a newer, sleek look and trim inside and out that was to die for, who could resist the car that was born that year. 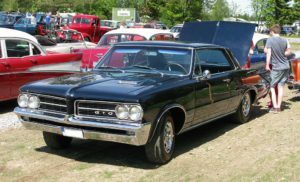 These cars sold like hotcakes, even though Pontiac was in direct violation of a General Motors policy on the size of the engines that are placed in their vehicles. It didn’t matter, the muscle car was born, and everyone rushed to get in on the action. These muscle cars had great performance that was fit for the street or the races, and allowed them to completely dominate every race that they were placed in. It wasn’t long before other auto companies wanted a piece of the action, and more styles of muscle cars were born. While some of these other muscle cars bragged about bigger engines and more options, the youth market in America didn’t care. The muscle car was all the rage because they embodied rebellion, style, and “coolness”. But, with every era comes an end, and in the later 1960’s there was an uprising about the prices and weights of these muscle cars, which prompted the auto manufacturers to create a “budget muscle car”, which carried names like the “Road Runner”. Though they were wildly popular, the muscle car didn’t quite sell as many as their manufacturers would have liked, but their rise in popularity has not been matched since. No other type of car in history has been able to create such an air of personality as the muscle car has. But, toward the mid 1970’s, these smaller, budget muscle cars once again got a boost. The competition in the auto industry was heating up once more, and the muscle cars produced during this time boasted some of the biggest engines ever thought of, like the 450 big block. Although this created yet another spike in sales and popularity, concerns about the safety of these cars gave way to more protests and problems. With some of the other industries, like the insurance agencies, protesting the larger muscle cars and refusing to insure them, the sales of these powerful icons plummeted. Then, another crushing blow to the muscle car, the oil problems that plagued the world in the late 70’s and early 80’s ended the muscle car altogether, and auto manufacturers removed them completely from the market. But, even today, the muscle car is still sought after by car buffs, collectors, motor-heads, and rebels in general. They are sought out, fixed up, and rumbling down the road in every town across the United States, and even all over the world. No matter how old or young you are, the muscle car still holds unquestionable bragging rights as well as an instant pass to “coolness”. Gerry Askew is an experienced webmaster and publisher. For more information check out – http://musclecars.informationvalet.com. Part of the reason Classic Cars Online US exists is to help connect classic car buyers and sellers, and we’ve added several ways for you to connect, but first, be sure to visit the Classifieds page if you’re in the market to buy or sell muscle cars.